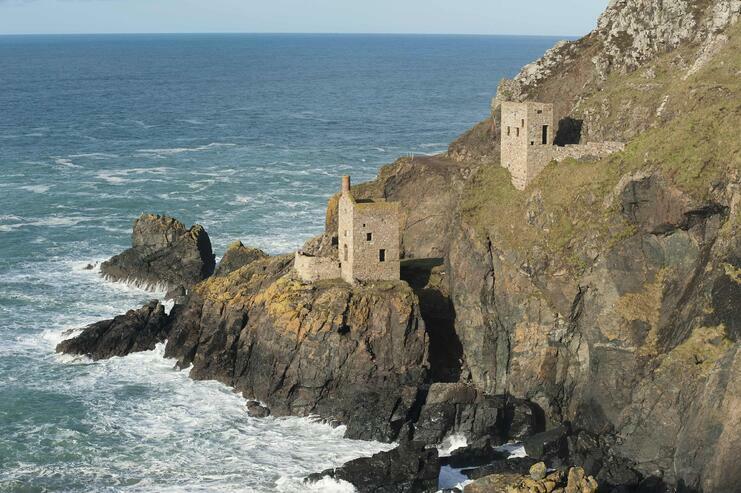 Cornwall provides ‘first take’ film locations throughout its spectacular landscape: think rugged coastlines, windswept moors and hidden coves! As well as the beautiful Cornish light and the spectacular surf, Cornwall has had a starring role in many movies and TV productions. And if you wanted to visit some of the sites sought by location scouts, then be sure to book your glamping cabin, bed and breakfast or camping pitch! We can’t mention Cornwall without a nod to Poldark, who graced our screens in the 1970s with Robin Ellis in the starring role, and whose recent return with Aidan Turner has caused many a heart to flutter! 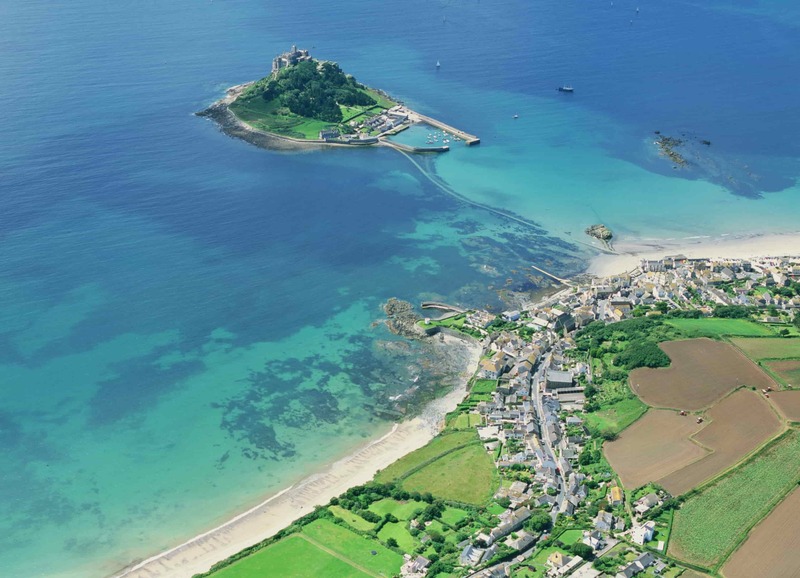 Ian Fleming’s ‘hero’, 007 aka James Bond has also found Cornwall to have its charms. The iconic Eden Project was a prime location in Die Another Day (2002) when Pierce Brosnan played the suave, sophisticated spy. For an earlier ‘version’ of the character, Never Say Never Again (1983) was filmed at St Michael’s Mount featuring a mature Sean Connery as Bond. Tim Burton is one of our most original movie directors, bringing unforgettable characters such as Edward Scissorhands to our screens – and hearts. His mesmerising version of Alice in Wonderland (2010) in which Johnny Depp plays the Mad Hatter and Helena Bonham Carter plays the terrifying Red Queen, features Antony House, now a National Trust property. From the remarkable to the ground breaking, The Beatles’ A Hard Day’s Night (1964) showed a day in the life of the fab four and included Whitsand Bay at Torpoint in their footage Hollywood hunks including Charlie Sheen, Kiefer Sutherland and Chris O’Donnell donned their breeches and capes at various Cornish locations including Golitha Falls and at the picturesque Boconnoc Estate for the 1993 version of The Three Musketeers. Classic literature lovers won’t be disappointed either with the clutch of film locations in Cornwall used as backdrops to screen adaptations of the likes of Rebecca and Jamaica Inn, both penned by Daphne du Maurier. Charlestown featured in the 1997 TV version of Rebecca with Charles Dance as Maxim de Winter, while Jamaica Inn was filmed at Bolventor for Alfred Hitchcock’s 1939 version of the novel, starring Charles Laughton and Maureen O’Hara. We stick with Hitchcock for his earlier film entitled The Manxman (1929), which was filmed in Polperro And Charlestown has also made other star appearances in a variety of films, including Mansfield Park (1999, starring Frances O’Connor) and About Time (2013) featuring Rachel McAdams and Bill Nighy. Let’s not forget The Coroner another BBC drama made in 2015, starring Claire Goose, filmed at Echo Beach, Looe, among other places. Doubtless there are many, many more magical movie moments for Cornwall. We’ve mentioned just a few here. If you’re a film fan, and want to see why this county attracts so many movie moguls, book a peaceful Wigwam or a boutique B&B and prepare to be inspired.